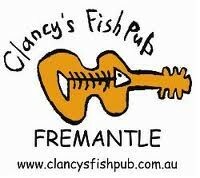 Filled with vibrant colours and somewhat ’fishy’ decor Clancy’s attracts a diverse crowd of people. Musos, office workers, artists, scholars, outdoor sporty types, professionals, local yocals, travellers, young, old and those somewhere in between flock to Clancy’s Freo with a common bond... to socialise. After work drinks on Friday, a business lunch on Wednesday, coffee after the movies, a cone of chips after the game, or Gran’s birthday dinner. There’s always something going on at the pub. Be entertained by our fabulous live music line up, test your knowledge at the trivia night on Tuesdays, or hang out the back while the kids run wild in the enclosed park.